If you follow Jonathan Edwards studies, it’s no secret that Edwards’ doctrine of Justification has been under fire since the 1940s. Examples abound, even in popular Reformed writings. R. Scott Clark has written in an online forum that “At best, Edwards was at times confusing about justification. At worst he was contradictory and unconfessional re the same.” J.V. Fesko devotes a few pages of his otherwise wonderful book Justification to Edwards and concludes: “It does not seem possible to argue that Edwards’ construction is within the confines of Reformed orthodoxy…at minimum, a cloud of ambiguity hangs over Edwards’ doctrine of justification” (39). There are others who argue that Edwards was unambiguously Reformed in his view of justification and that there is no question of the quality of Edwards’ orthodoxy. In this latter category belongs a new book from Crossway, Jonathan Edwards and Justification. 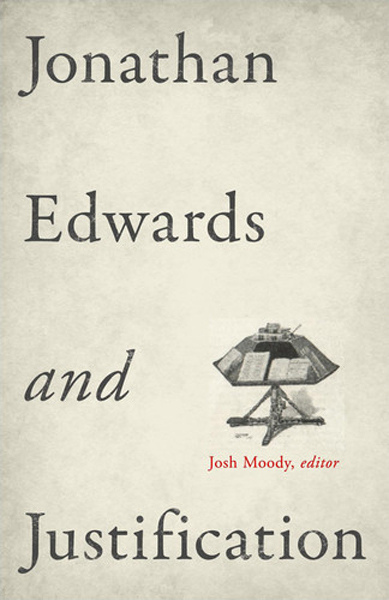 Josh Moody, the editor, as well as the other contributors are all convinced that Edwards has been fundamentally misunderstood by a wide swath of scholars, beginning with Perry Miller during his much lauded rediscovery of Edwards in the 40s and 50s. Moody ably defends this thesis in his own chapter, and also helpfully lays out Edwards’ understanding of justification based on Edwards’ quaestio, his Justification by Faith Alone, and some of his Miscellanies. There is also discussion of Edwards’ ordo salutis. The charges of “confusion” and “ambiguity” are hard to be sympathetic with once one understands that Edwards absolutely does not root justification in personal holiness. Rather, Moody points out that there is a strong emphasis in Edwards on union with Christ as the ground of our justification. Intrinsic to Moody’s case in defense of Edwards is that there is not always a 1:1 relationship between Edwards’ terminology and historic Reformed terminology. The above mentioned reference to “infusion” is a prime example of this. Moody admits that Edwards was a creative thinker and was writing in a context of apologetic against enlightenment thinkers. As such, he offered up-to-date arguments and not simply dogmatic restatements. He was writing for a creative an sophisticated era, and so he often used created and sophisticated language in addressing the challenges of his time. Rhys Bezzant’s chapter, “The Gospel of Justification and Edwards’ Social Vision” explores the ministry context in which Edwards was writing and explores his doctrine of justification within those related pastoral themes. One comes away quite convinced that the portrayal of Edwards as a preacher of subjective change is an unfair caricature, to be sure. His chapter is interesting and contributes to the wider discussion of Edwards’ views. Samuel T. Logan Jr. spends his chapter discussing what it meant for Edwards in terms of obedience, for someone to be justified. What does a justified person act like? He bases his answer largely in an overview of Edwards’ Religious Affections. It is clear from Logan’s chapter that for Edwards (echoing the rest of the Reformed tradition) there is no justification where there is no growth in the Spirit. This is because “The more a true saint loves God with a gracious love, the more he desires to love him, and the more uneasy is he at his want of love to him; the more he hates sin, the more he desires to hate it, and laments that he has so much remaining love to it…” This “relish for more relish” is something which, according to Edwards, only the regenerate person understands. Likewise, where this is missing, justification is also missing. This is hardly a crypto-Catholic understanding of justification. The book ends with Doug Sweeney’s chapter, which is simply put, my favorite part. It is a joy to read, and I highly recommend that others actually skip to this one after reading Moody's excellent first chapter. In the fifth chapter, Sweeney spends a great deal of time establishing Edwards’ Reformed bonafides. He discusses the fact that yes, Edwards does point to faith as “the qualification which God has a primary Respect to in Justifying men.” However, Sweeney helpfully points out that “godly love is implied in saving faith and so is spoken of in Scripture as a condition of salvation – not a condition that secures justification before God, but a condition without which one does not have genuine faith” (143). Sweeney also points out the emphasis within Edwards on union with Christ as the ground of the believer’s righteousness before God. This is very much in keeping with the Reformed tradition of Calvin. I would like to think that Jonathan Edwards and Justification is a solid step towards answering the concerns of men like Fesko, Clark, and others. This is not a substantial volume in terms of size, but it very clearly makes a strong case for the orthodoxy of Edwards’ teaching on justification. Edwards was a creative thinker who used less than conventional language at times to clarify his doctrine. This does not place him outside of Reformed Orthodoxy, but it does mean that he needs to be read more slowly, with an eye to the apologetic context in which he wrote and preached. 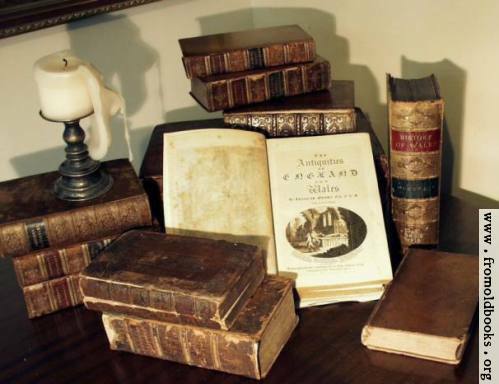 You can find Jonathan Edwards and Justification here. This is a very helpful review. Regarding Edwards' being a creative thinker, a major reason John Gerstner loved Edwards was because he examined the faith deeply, often penetrating further than others had done previously. When Dr. Gerstner commented on my M.A. thesis about Thomas Manton's piety, he remarked that there was nothing new or creative in Manton's views.